Alpha Sigma Alpha recognizes outstanding alumnae and volunteers with a variety of prestigious awards. Individual alumnae awards are presented every other year at the biennial national convention & leadership conference. Members are encouraged to submit nominations for each award by clicking on the buttons below each award. Members may submit more than one nomination for each award. The Foundation Heart of Giving Award is an honor bestowed upon an alumna member who has made a significant contribution of time, talent or treasure to a local, national or international charitable organization(s). The award was first presented by the Alpha Sigma Alpha Foundation at the 2012 national convention & leadership conference. The Agape Award recognizes volunteers who display a love for Alpha Sigma Alpha and its members. Recipients seek at all times to advance the interests of others and to spread the positive influence of Alpha Sigma Alpha. The word “agape” means an active connection to the needs of others without the expectation of gaining something in return. Agape is an intentional act of the mind, not a random emotion of the heart. Agape is a love that is unconditional, redemptive and always seeking benevolence for all, not an investment in a select few individuals. Recipients demonstrate a focus on the greater good of Alpha Sigma Alpha by giving full measure toward the success of others. National council created this award specifically to recognize our volunteer leaders who have made a significant difference in the lives of our members and have propelled the mission and strategic plan of the Sorority forward. The Agape Awards may be given to one, two or three recipients. The Evelyn G. Bell Award was instituted by the Buffalo Alumnae Chapter in 1980 in honor of Evelyn G. Bell, PP, past national president. This award is given to an alumna member who exhibits exceptional leadership, loyalty and commitment to Alpha Sigma Alpha by serving as a collegiate officer, alumnae officer and national volunteer. The Helen Corey Award was first established at the 1982 national convention in recognition of the dedicated years of service to Alpha Sigma Alpha and for Helen’s contributions to the history of successful conventions. This award is presented to an individual member in recognition of her unwavering and tireless efforts in service to the Sorority. This award is presented in honor of Wilma Wilson Sharp, ZZ, president emerita, and recognizes an alumna member who has distinguished herself through service to her community, her profession and has shown significant leadership qualities, loyalty and continued service to Alpha Sigma Alpha. The Recognition of Eminence Award is designated to honor those alumnae whose professional or community achievements have attracted recognition far beyond the circle of Alpha Sigma Alpha membership. It was created in celebration of the Sorority’s 50th anniversary and is awarded at the discretion of the national council. The Hermes Society is an academic honor society created exclusively for members of Alpha Sigma Alpha. The society was created in an effort to continue to advance Alpha Sigma Alpha’s commitment to fulfilling the intellectual aim of the Sorority. Undergraduate members are accepted annually through an application process. An honorary alumna member is inducted to the Hermes Society biannually during the national convention & leadership conference. She should exhibit a commitment to academics and exemplify the spirit of lifelong learning. 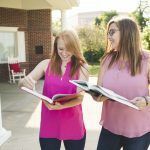 The Outstanding Advisor Award was established as a way to recognize the unswerving loyalty and dedication of Alpha Sigma Alpha’s collegiate chapter advisors. Advisors are recognized by this award for their outstanding service, serving as a role model, living according to our ritual and perpetuating Alpha Sigma Alpha’s core values. The Outstanding Advisor Award is given annually. Nominations for these awards are submitted by collegiate chapters via Officer Portal. The Outstanding Fraternity/Sorority Advisor Award was established to recognize a campus professional for exceptional service to Alpha Sigma Alpha and his or her campus community. He or she exemplifies the core values of Alpha Sigma Alpha, serves as a role model for students and has made an outstanding contribution to fraternal life. The Outstanding Fraternity/Sorority Advisor Awards are given annually. Nominations for these awards are submitted by collegiate chapters via Officer Portal.